A double satin ribbon with rainbow print on both sides. 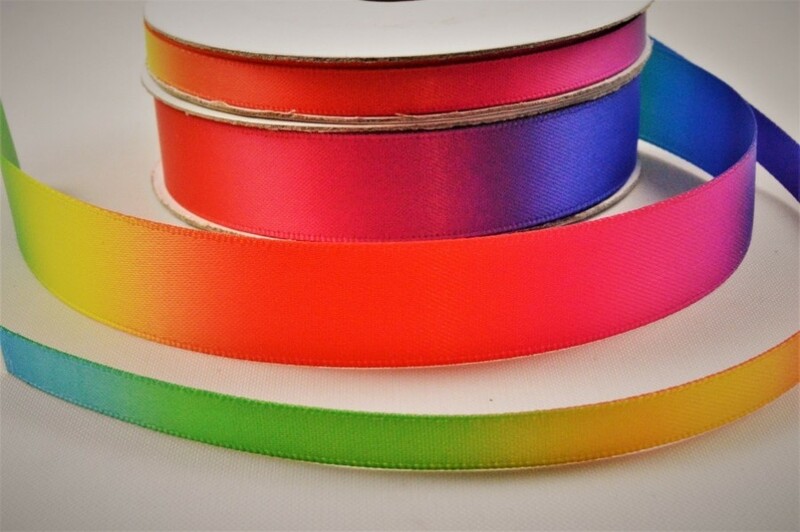 55077 - 6mm & 15mm Rainbow Double Satin Ribbon x 10 Metre Rolls! Rolls are spooled with 10 metres of ribbon. A double satin ribbon with rainbow print on both sides. Perfect for gift wrapping, decorating and more.